At Allergy Care & Asthma of New York we specialize in treating both children and adults who suffer from allergies and asthma. 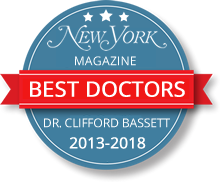 Whether you are experiencing recurring symptoms from allergies or chronic asthma attacks, our NYC board certified allergy doctors will bring allergy relief by offering the best possible solution. Whether you are affected by a food allergy or environmental allergy, we offer the immediate care and attention you need. Our allergy and immunology specialists will work closely with you, your family, and your doctor to develop the best treatments and the most effective solutions. We provide a comprehensive approach that uncovers the cause of your allergy while providing the best solutions. 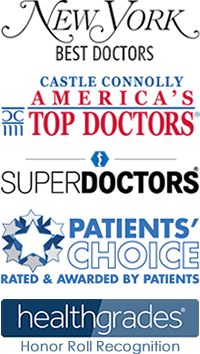 We provide a complete range of services to help our patients resolve their concerns. I have suffered from HORRIBLE allergies my entire life, and all the inconveniences that accompany them. (such as, “But why can’t you sleep at my house with my cat? I totally vacuum!”) I thought I was pretty much in for a life full of pet avoidance and pet owner avoidance (it really limits the dating pool in NYC! ), and then I found Dr. Bassett’s office. After confirming all of my life-long suspicions with a basic scratch test (severe allergies include: housedust, dust mites, cats, dogs, horses, oak and other trees, all grasses, and most weeds. As luck would have it, I am not allergic to birds, cows, or cockroaches. Woo! ), the situation looked pretty hopeless. Allergy Injections (Shots): Allergy injections contain the natural protein extracts of the allergens which you are allergic to. 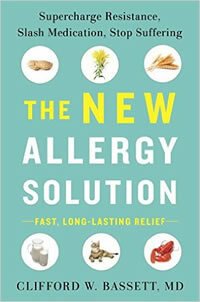 By giving very small doses of the nautral allergen protein, allergy shots stimulate the immune system. By slowly increasing the amount of allergen given, the shots teach your immune system to tolerate exposure to allergens in the environment. This tolerance protects you the next time you are exposed to these allergens and can help reduce or even eliminate your allergy symptoms. Sublingual Immunotherapy (Allergy Drops): Sublingual immunotherapy (SLIT), often called ‘allergy drops’, is a new and exciting alternative to traditional allergy shots. SLIT uses allergens administered in a liquid or tablet form under the tongue to achieve immune changes similar to that seen with allergy shots. Prescription Medications: Your allergist may prescribe medication to manage your condition. In addition to antibiotics, we offer innovative and effective medical therapies, such as topical steroid medications. 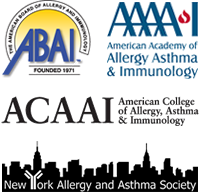 If you have any questions for the NYC allergists or would like to make a consultation with the allergists please feel free to contact Allergy & Asthma Care of New York (212) 260-6078 and indicate which NYC office (Financial District, Gramercy, Midtown, Upper East Side) you would like to see the doctor in or feel free to email us using the eForm on the right.